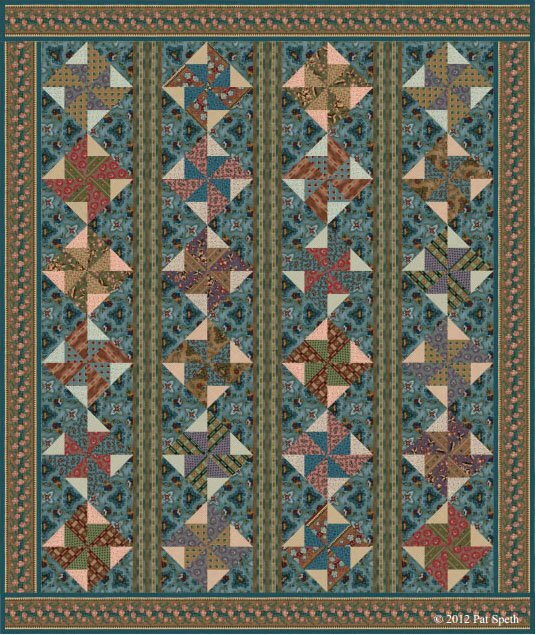 "This is a quilt I designed several years ago for Windham Fabrics to showcase the fabrics in one of my fabric collections. 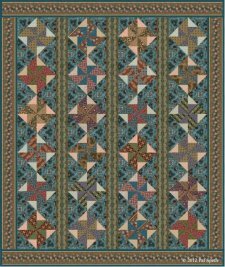 I decided it was the perfect quilt to post as a free quilt pattern. Quilt shops, quilt guilds and individuals can copy and share these patterns but they are not to be sold for profit. Enjoy!" Download her pattern below. Her instruction reads like a full tutorial and includes step by step photos.